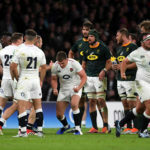 Referee Angus Gardner has admitted that he should have penalised England’s Owen Farrell for his controversial tackle on Bok centre André Esterhuizen. England coach Eddie Jones says Owen Farrell’s tackles will only become a problem if referees start penalising them. 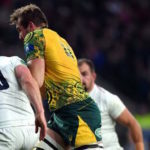 England flyhalf Owen Farrell was fortunate not to concede a penalty try after making this hit at Twickenham. 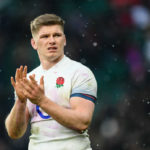 England flyhalf Owen Farrell insists his tackling technique is legitimate. England coach Eddie Jones believes Owen Farrell is treated differently by officials because he is tough enough to play through the pain. 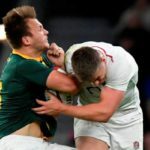 Defence guru Omar Mouneimne says the complex context of the controversial collision between Owen Farrell and André Esterhuizen needs to be understood, writes CRAIG LEWIS. 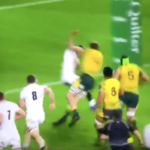 Former Test referees André Watson and Rob Debney say Owen Farrell’s tackle on André Esterhuizen should have been penalised.